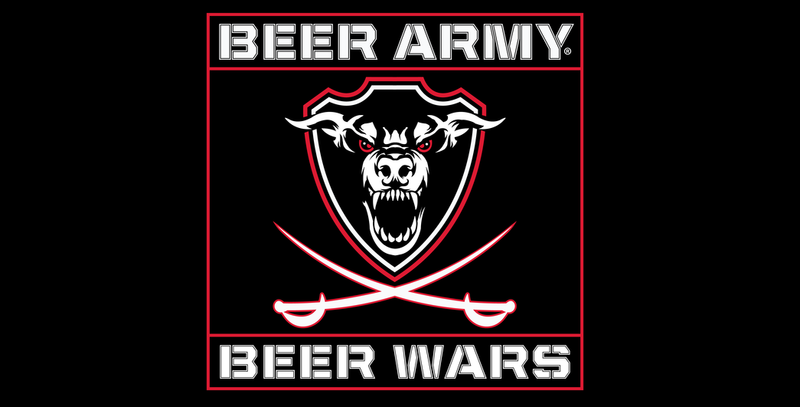 CHARLOTTE, N.C.–All About Beer Magazine and Amoretti presented the Beer Army Beer Wars in association with the North Carolina Homebrewers Alliance and the Beer Army Foundation. This was a commercial beer judging contest that was hosted in the heart of southern beer country from Jan. 13-14, 2018, at NoDa Brewing Co. in Charlotte, North Carolina. This year the competition fielded 709 entries from 43 states, five Canadian provinces, Belgium, England and Ireland. This event was open to all commercial breweries, featuring ale and lager categories supported by the Beer Judge Certification Program (BJCP). This was a BJCP-sanctioned event with all judging being done by a double blind panel of BJCP-certified judges and beer industry leaders. Medals of Gold, Silver and Bronze were awarded to the top three finishers in each beer judging category. Medalists in attendance were announced at the Jolly Skull Beer and Wine Festival, held at the Greenville Convention Center on Jan. 20, 2018. Stormbreaker Brewing from Portland, Oregon, was named Grand Champion and will be awarded the championship belt. The Top 10 list and overall champion can be found here. Find the full list of winners below and at BeerArmy.org. 1st Hansa Brewery Bye Felicia!